Lotus trackside operations director Alan Permane reckoned Kimi Raikkonen drove an “exceptional” race to salvage fifth place from the Italian Grand Prix. 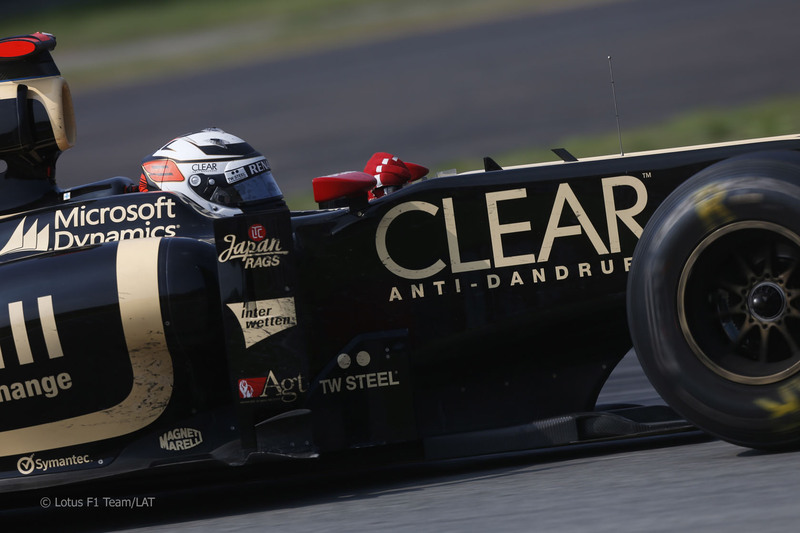 After podium finishes in Belgium and Hungary, Lotus dropped off the pace in Italy, with Raikkonen only qualifying eighth. On race day the Finn used a one-stop strategy with a very short first stint to rise to fifth and hold off the two-stopping Mercedes. That result moved Raikkonen up to third in the drivers’ championship, 38 points behind leader Fernando Alonso and just one point behind Lewis Hamilton. “We weren’t looking forward to coming to Monza as it doesn’t play to the strengths of our car so we’re very happy to come away with fifth place from Kimi,” said Permane. Exceptional? I would have used the word ‘Lucky’. If it had not been for Button and Vettel, and even Webber, Kimi would have come in 8th or 9th. It seems his only real opponent now is Michael Schumacher. He cannot get near to Lewis, Seb, Jenson and Fernando. Than there’s the Sauber to worry about too. The Lotus is slowing down. Kimi is worse off than he was a week ago at Spa. Straight line speed has to be improved, if he is to stand at the top step at all this season – which I seriously doubt. It’s interesting how they are complaining about straight line speed.Kimi was the quickest on speed trap with 343-345 km/h, Jerome 342, Button 342, Hamiton 341 km/h.Every other car was below 340. Kimi to mclaren, positive. Definately not ferrari. Perez is more likely to go there. Its funny, tht kimi is only racing michael .. Yup , kimi was lucky. Could have been 8th or 9th easily. The lotus car was like shopping market trolly.. Kimi go to mclaren.